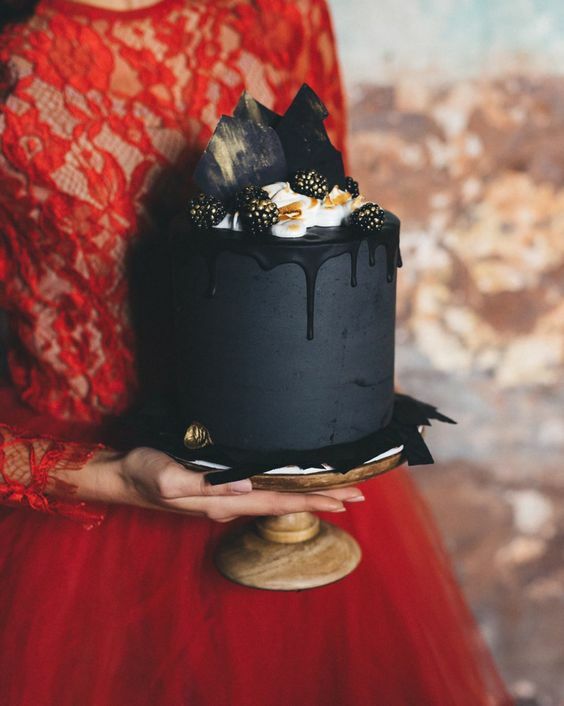 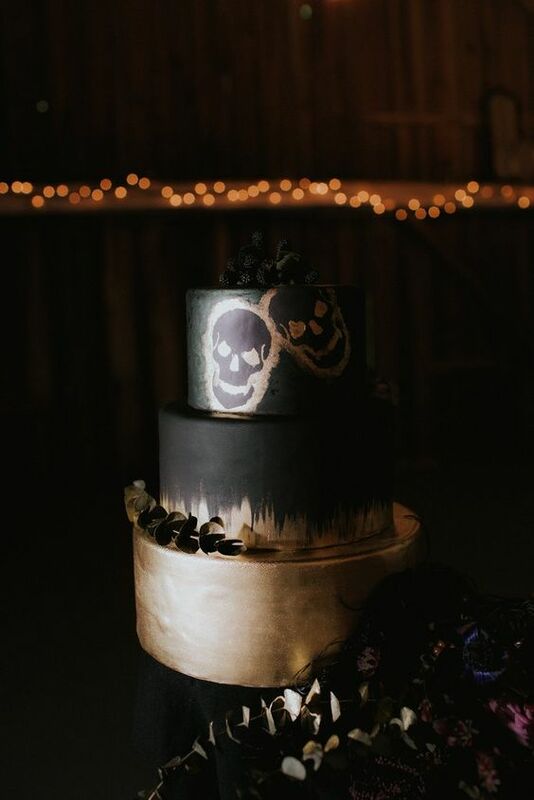 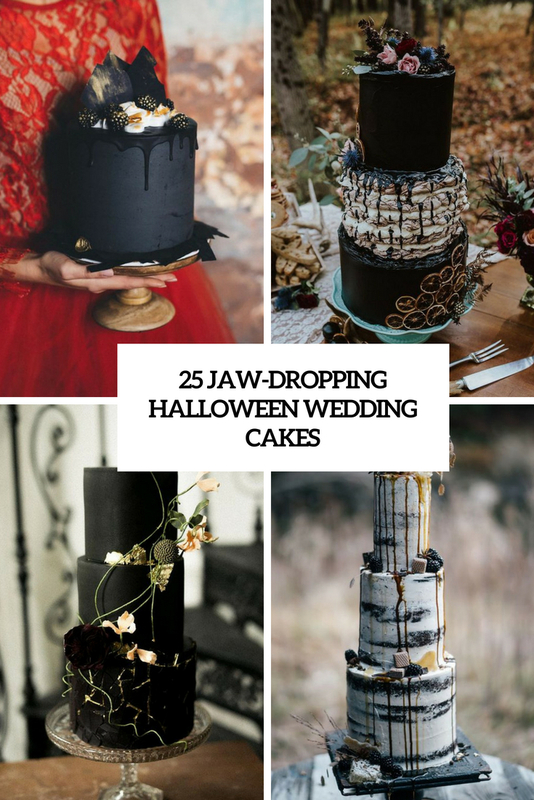 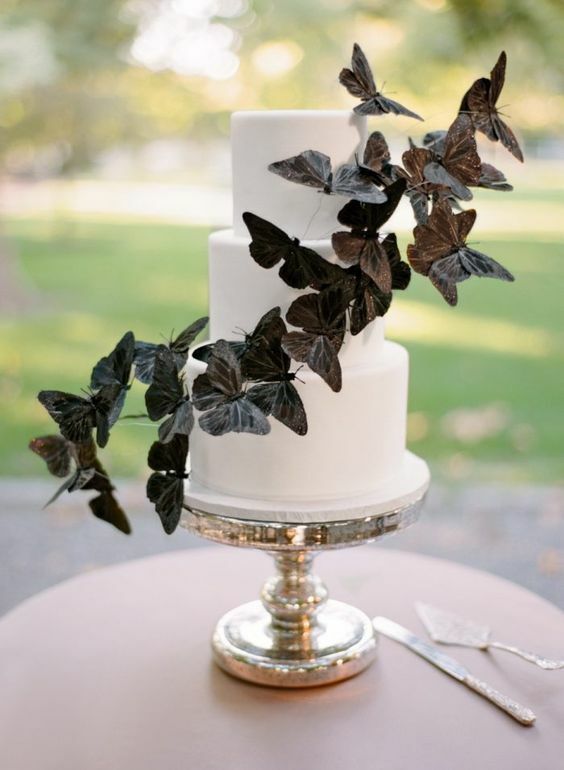 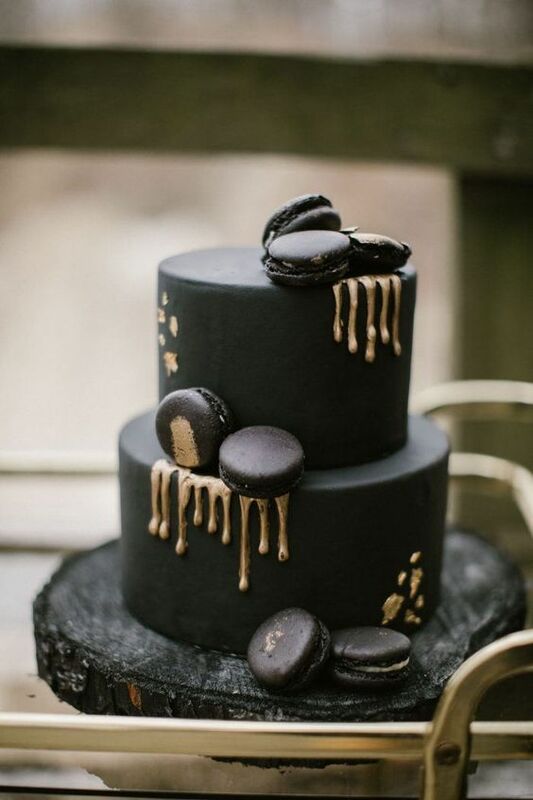 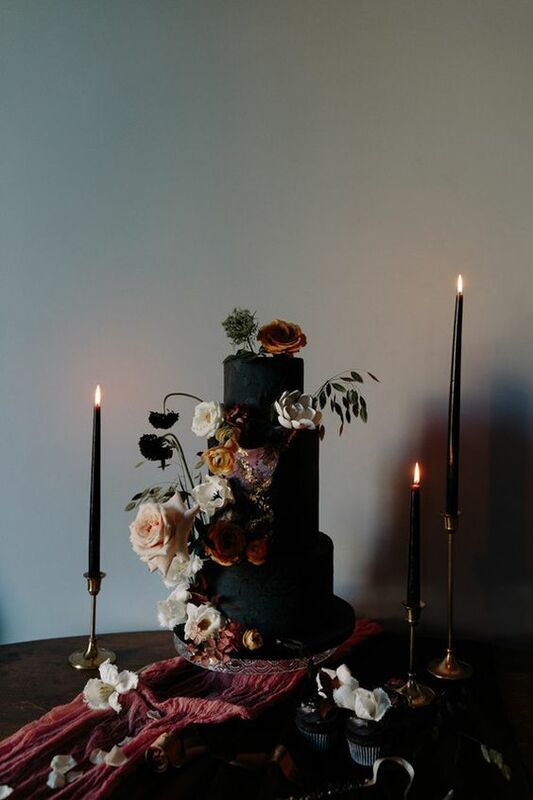 A black wedding cake is classics for a Halloween wedding, and there are tons of ideas you may go for. 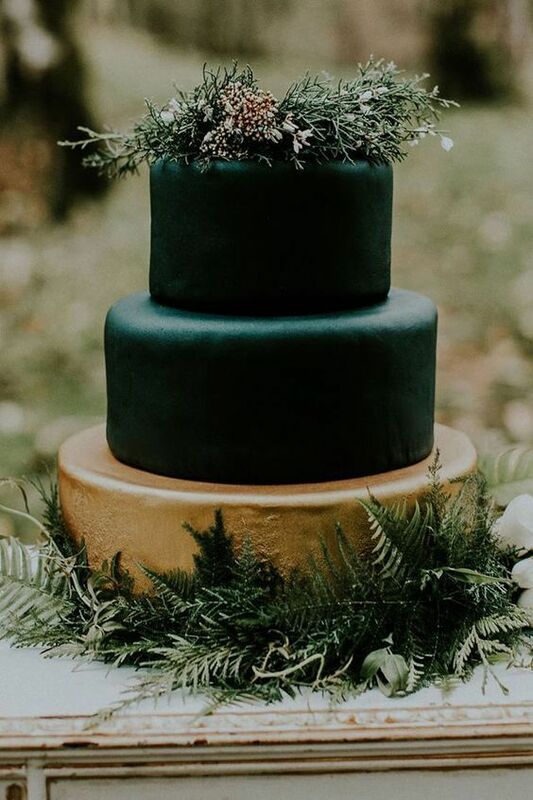 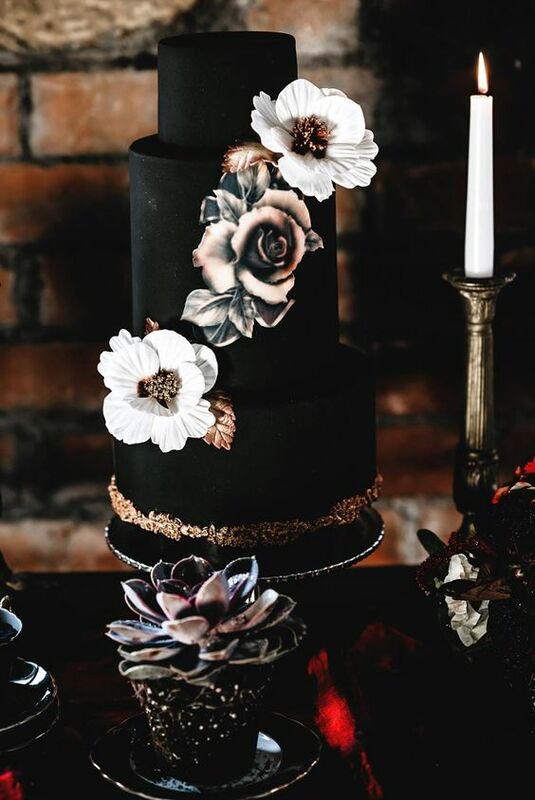 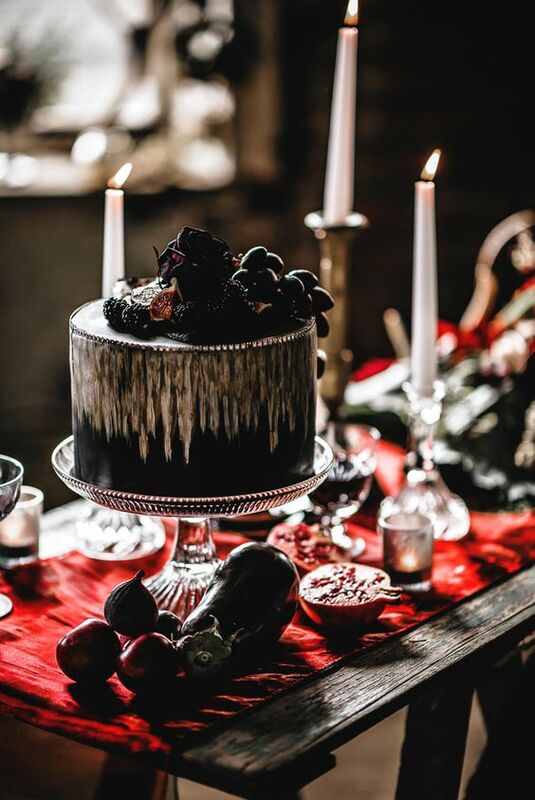 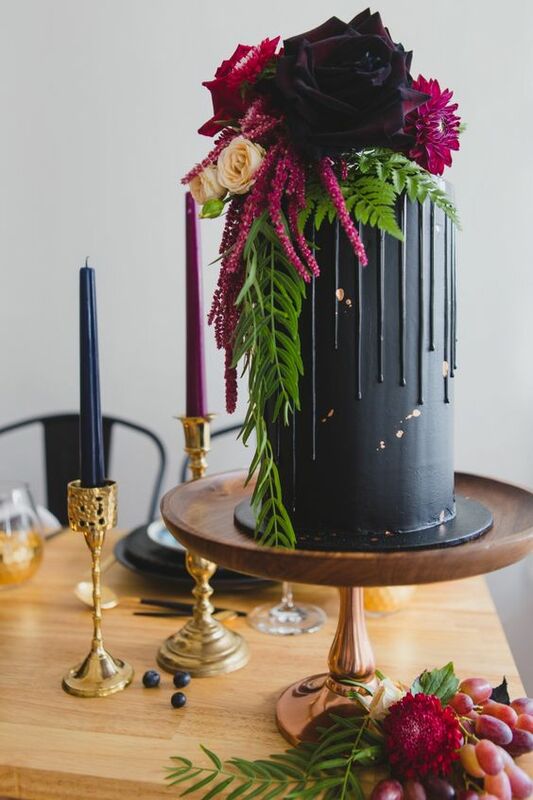 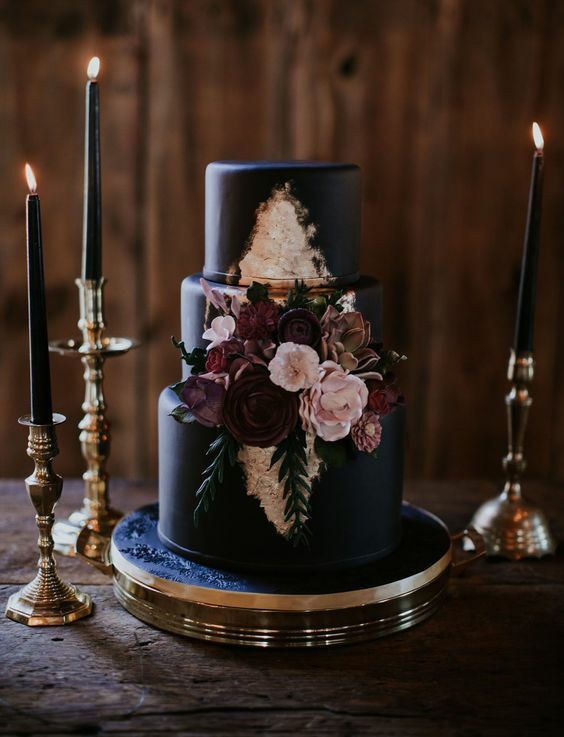 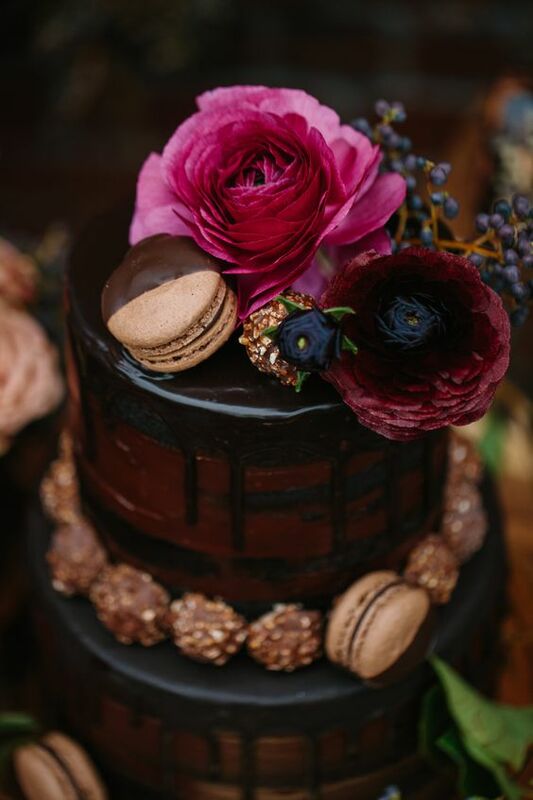 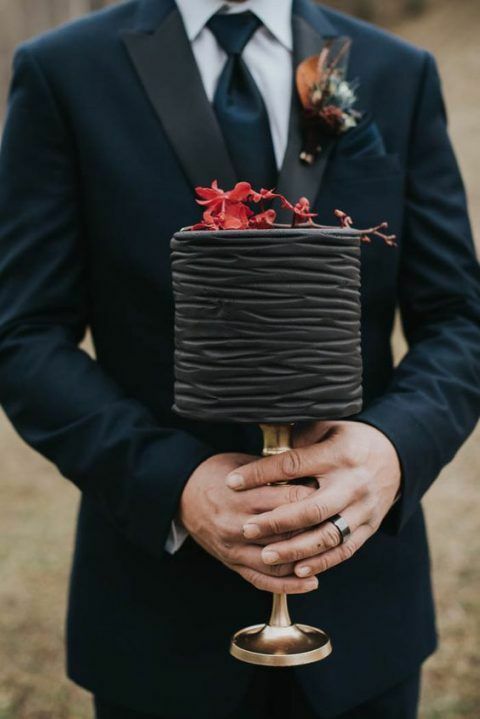 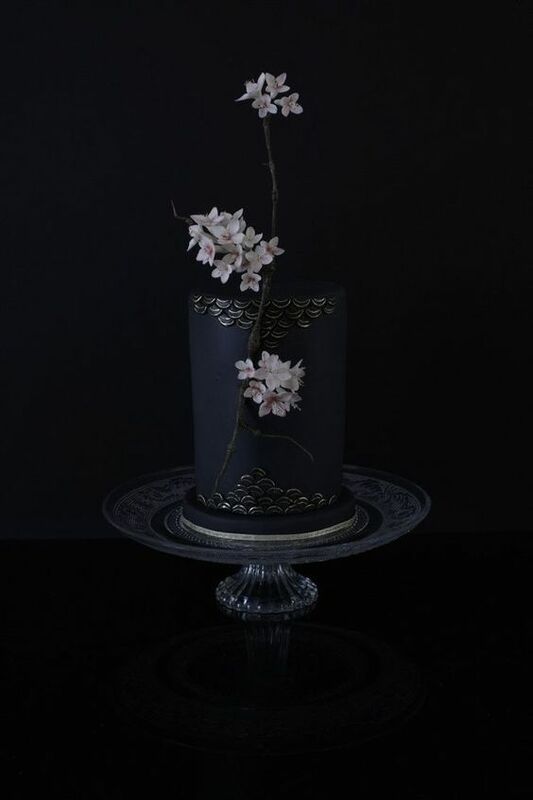 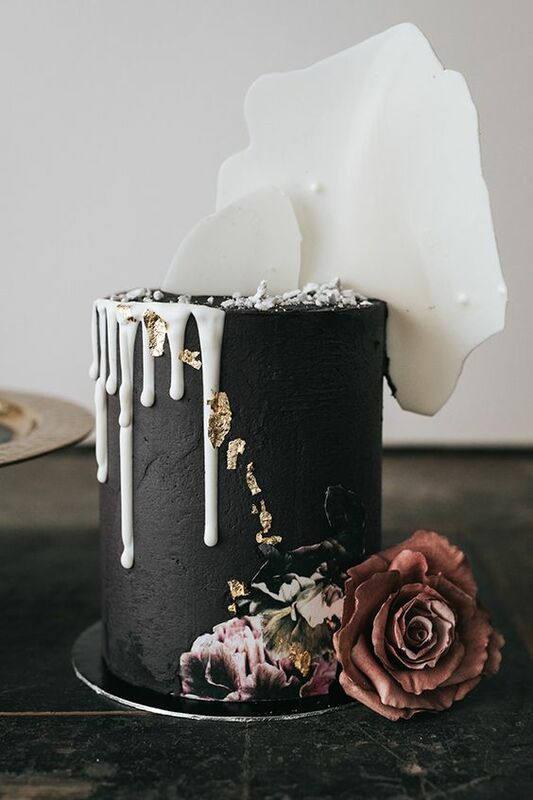 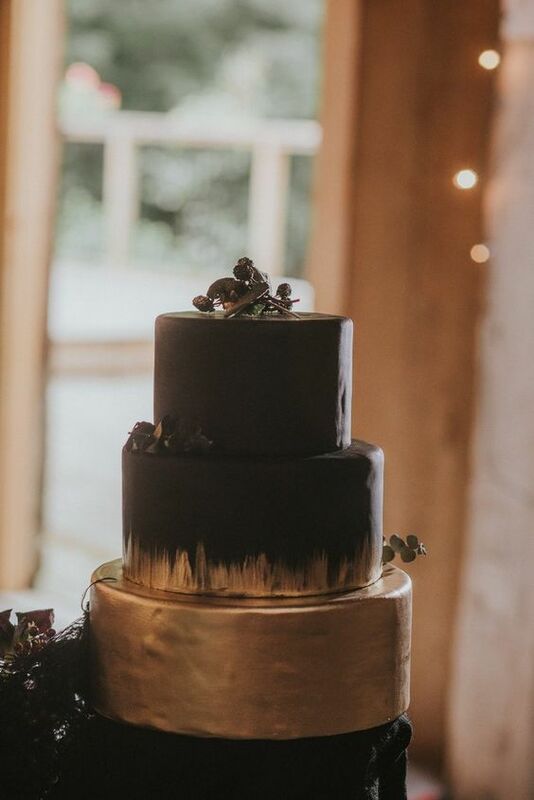 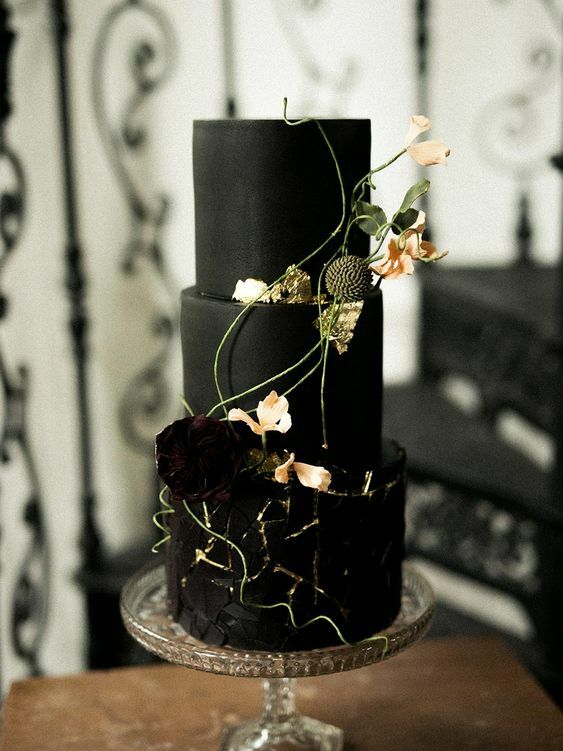 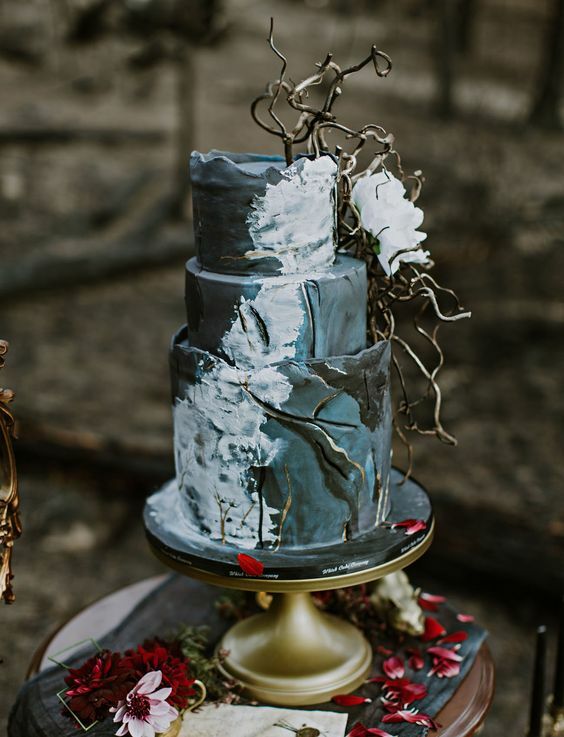 It can be a matte black wedding cake with hand painted flowers and with real ones, a black textural cake topped with blooms and berries, a black cake topped with flowers, herbs and greenery, a cake done with touches of burgundy and red, a black cake with colored dripping and macarons on top. 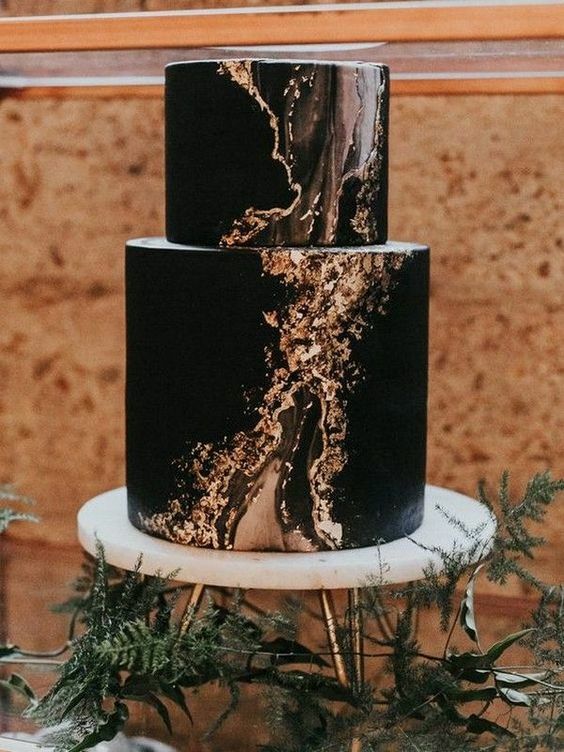 If you want add more elegance and eye-catchiness, add touches of silver, copper and gold, these can be some brushstrokes or whole tiers. 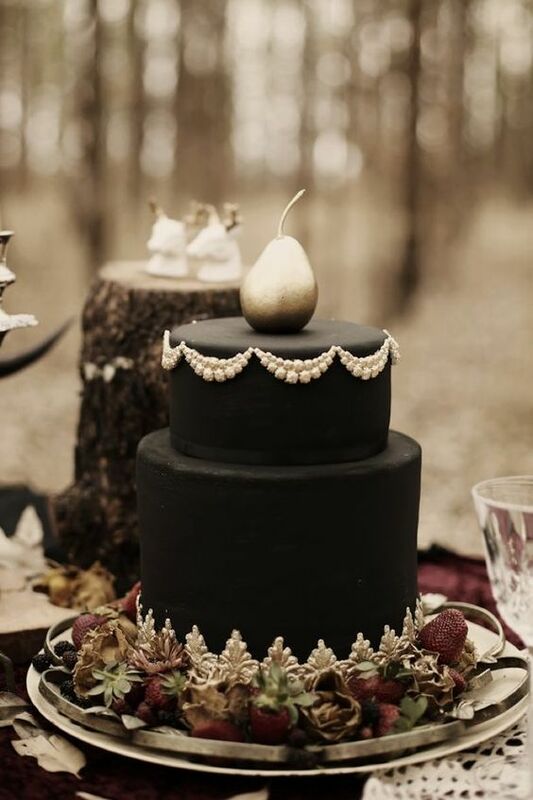 Top such a cake with a gilded fruit or berries, or add some chocolate shards on top to achieve a very bold look. 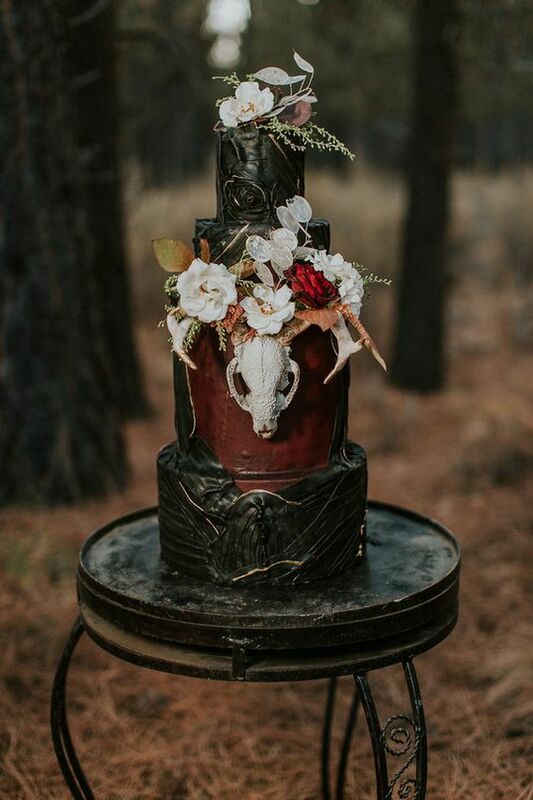 There are no limits for your imagination, you may go for any decor and details you like, from skulls to even parts of an Icelandic wedding cake – Kransakake. 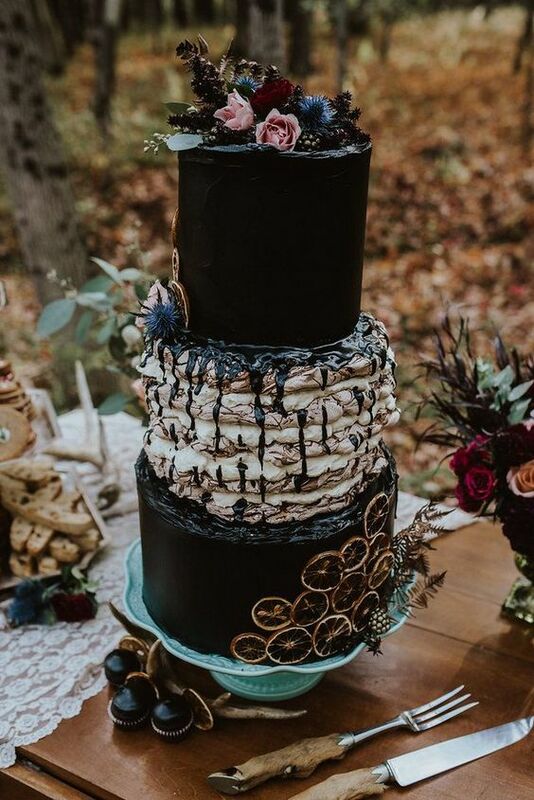 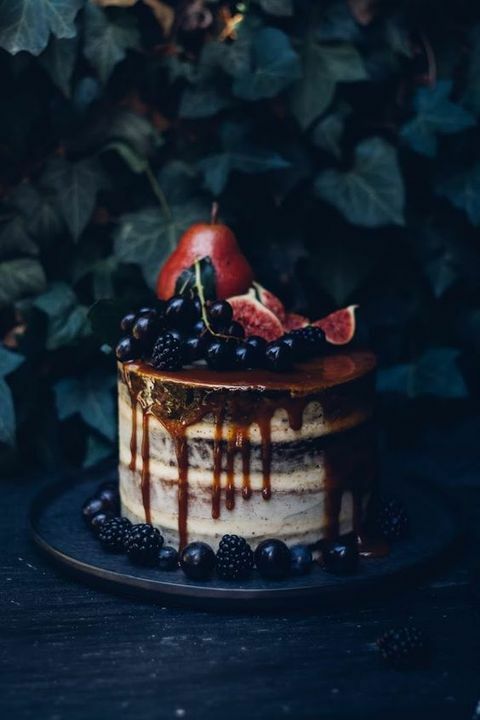 Semi-naked wedding cakes are very popular now, and you may go for a chic moody semi-naked wedding cake with any kind of drip, topped with berries and fruits, sweets and waffles. 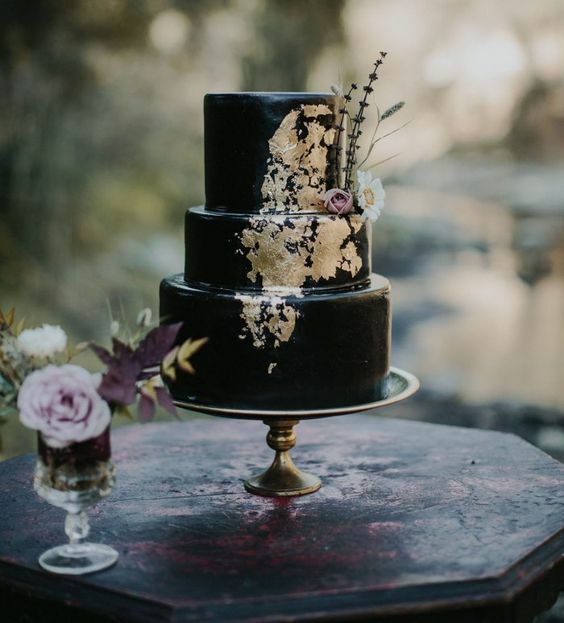 Try a red velvet wedding cake with chocolate drip and top it with flowers. 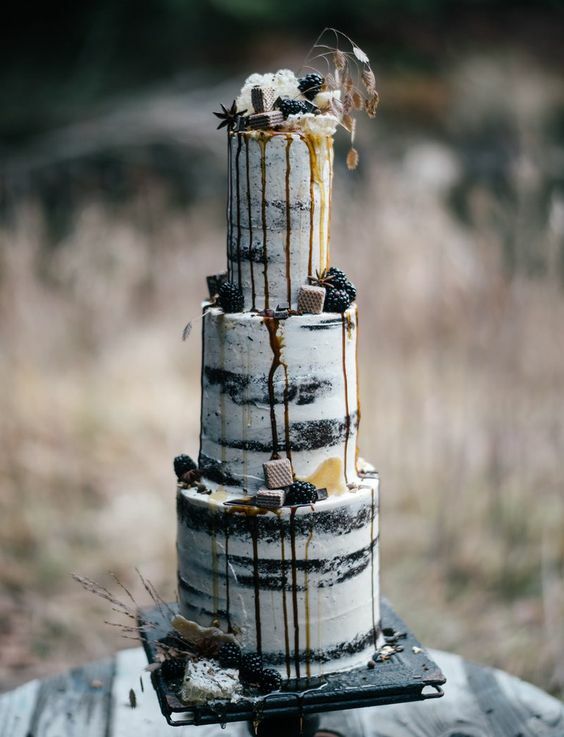 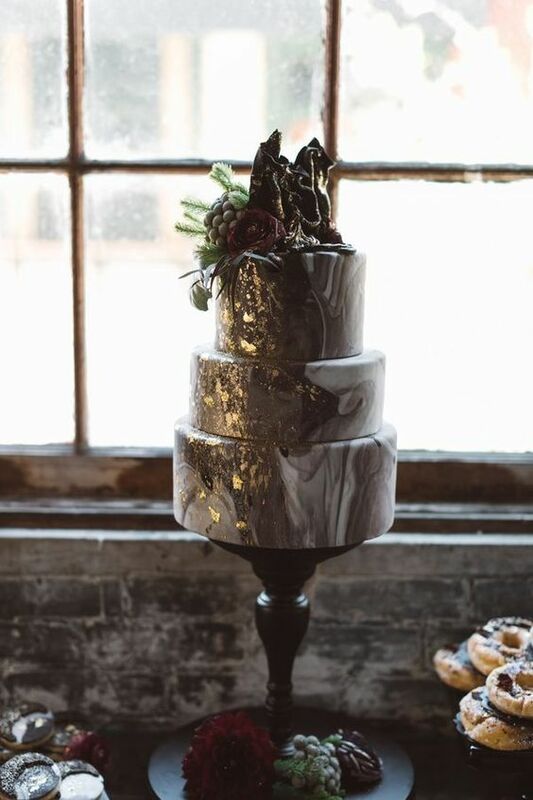 Marble wedding cakes are very popular, too, and you may try a marble wedding one with metallic touches and with flowers and greenery on top – there are many moody options to go for.